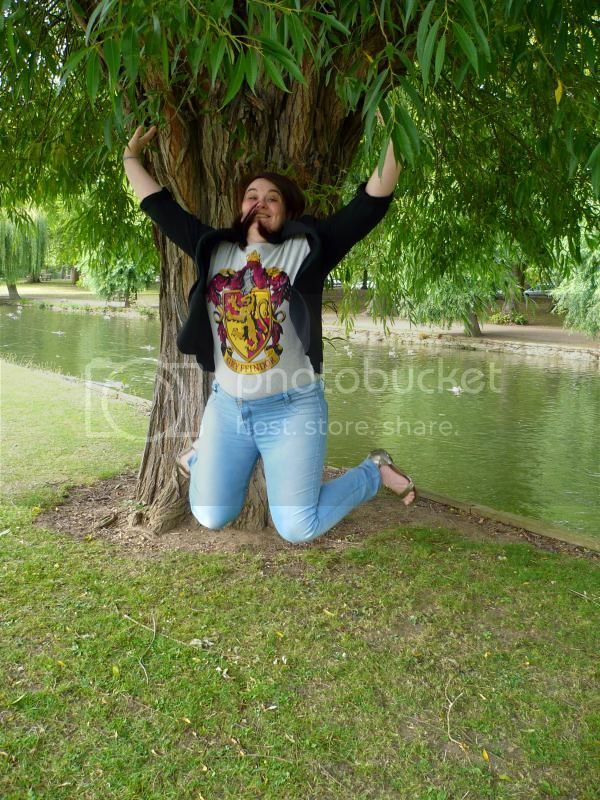 You may remember, a couple of months ago, that I shared some photographs of me looking awkward in a Hogwarts t-shirt from Primark. 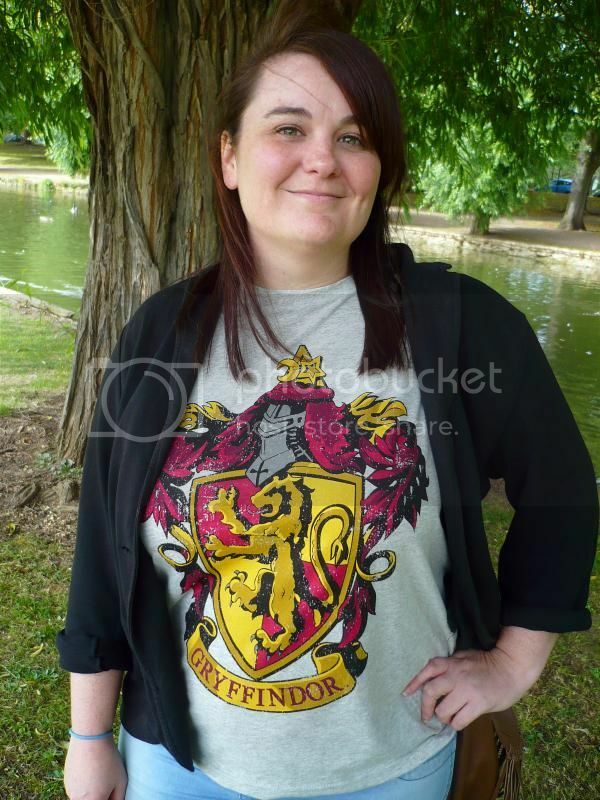 Well now it’s time for you to see me looking equally awkward in a Gryffindor t-shirt from Primark! I think Primark are smashing it with regards to t-shirts at the moment. Every time I go in there, I want another one, and if I can find my size (which usually I can’t, because they only seem to get about three size 16s in and they sell like hot cakes), I will buy one. My best friend Anna has become my t-shirt dealer; she phoned me a few weeks ago to say that she had seen a Gryffindor t-shirt and did I want one, and then at the weekend she presented me with a Jurassic Park tee because I had gone on and on about it the other day when we were together, and she had seen my size. It’s definitely worth having her as a best friend! Given the opportunity, I’d have all four house t-shirts, and I have seen Slytherin and Hufflepuff, but never in my size. But Pottermore stuck me in Gryffindor, so these are my colours, as it were, and I am fond of red and gold. My jeans are also new – I needed a pair of new skinny jeans after I discovered that my old ones were starting to get a bit holey. When I found a pair in the sale in New Look, I tried them on, only to discover that they were reversible! I didn’t need too much convincing to buy them – two pairs of jeans for the price of one, reduced to £13, and I had a voucher. You can’t really say fairer than that! 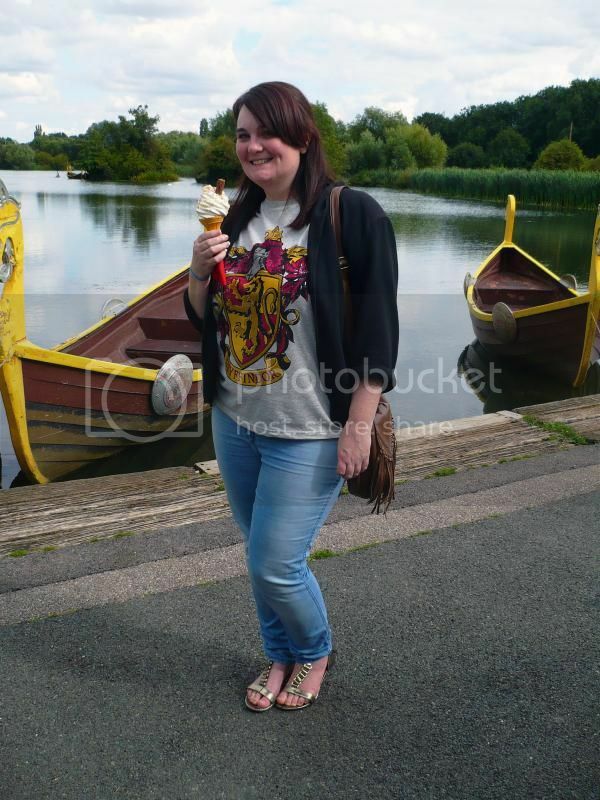 Ever the awkward non-fashion blogger, she did the best she could, and I love the top photo, of me with an ice cream! I think it’s the knee bend – it makes me feel like a proper blogger! 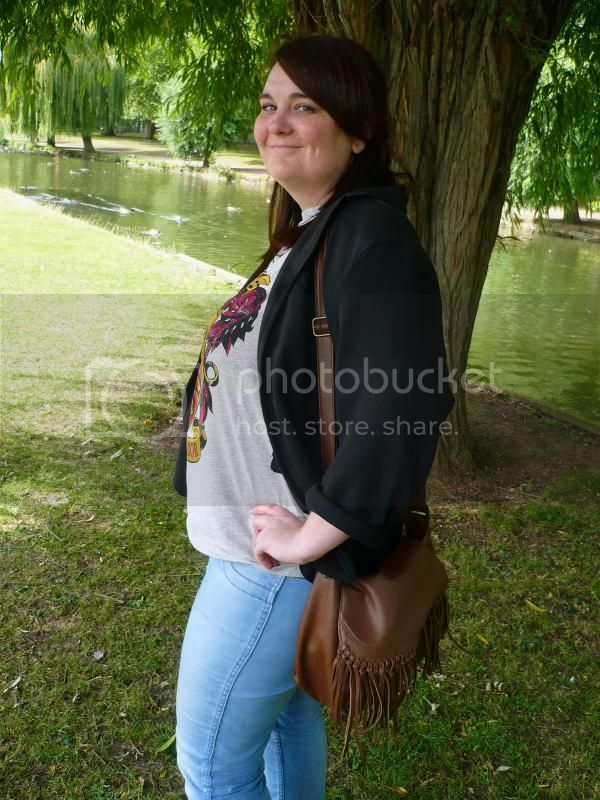 Four down, six to go on number seven of 32 Before 32 – do ten outfit posts.